Plainscloth officers protecting James Muhati from the late Msando’s relatives. – Msando temporarily replaced him. 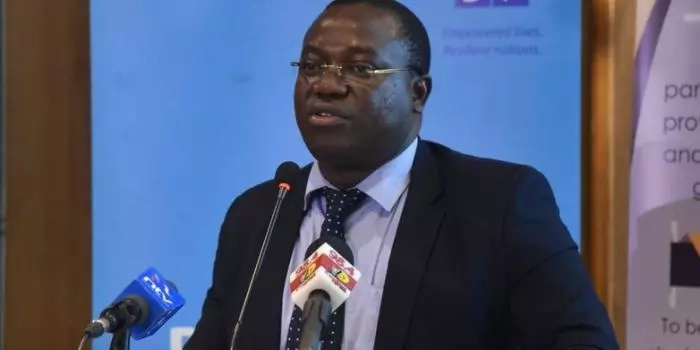 Drama unfolded at the City Mortuary on Monday, July 31, after the discovery of the late Chris Msando, the acting director of ICT at the Independent Electoral and Boundaries Commission. His body was discovered three days after he went missing on Friday, July 29, after a live television interview at KTN studios on Mombasa road. Police found his body and that of an unidentified woman in Kikuyu area and his car dumped in Roysambu off Thika Road. 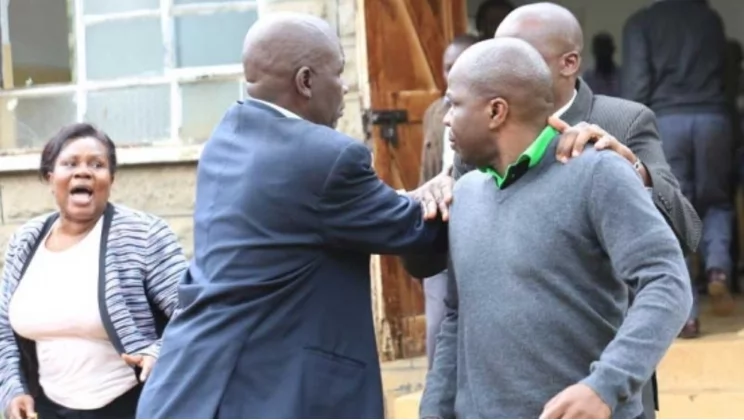 The IEBC commission, led by their boss, Wafula Chebukati, headed to the mortuary to view the body but one employee’s presence sparked outrage in the late Msando’s family. According to reports seen by ktn3.com, James Muhati, the ICT Director, had been suspended for a month and that is when Chebukati made the decision to replace him with Msando in the mean time. The Standard on Monday, July 31, reported that Msando’s relatives attacked Muhati when he arrived at the mortuary to view the body. “A mourner claimed that Muhati had been part of the problems Msando faced at work. She was, however, restrained from attacking him. Three other mourners then confronted Muhati, forcing him to run to where IEBC commissioners and other staff were standing,” published the Standard. Apparently, Muhati was suspended in May 2017 for refusing to participate in an audit of the ICT’s systems. He was later reinstated. Msando was mourned by both the commission, National Super Alliance brigade and President Uhuru Kenyatta. They called for investigations into his murder as it was reported he had severe wounds on his hand, neck and head. His unnamed female friend was reportedly shot after being beaten as well for she had wounds all over her body.